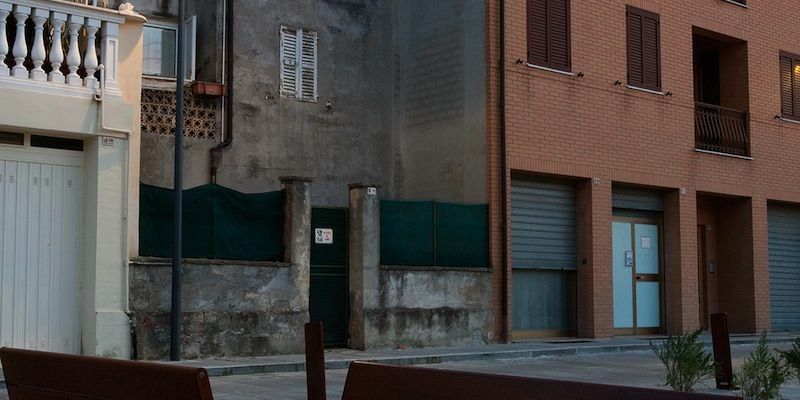 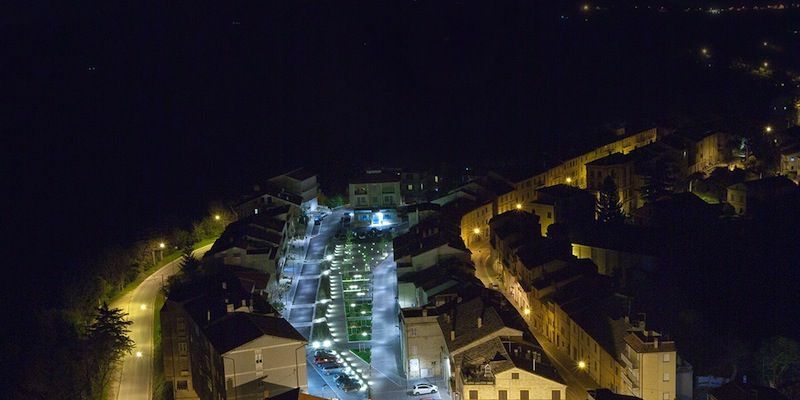 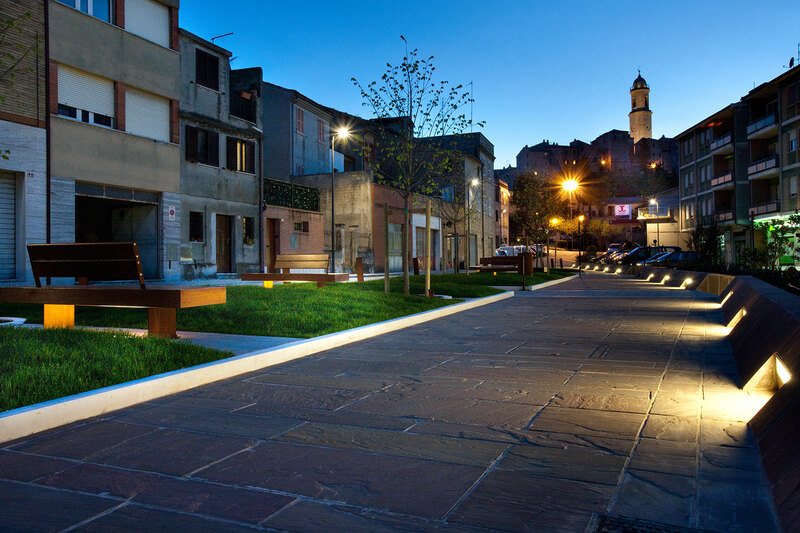 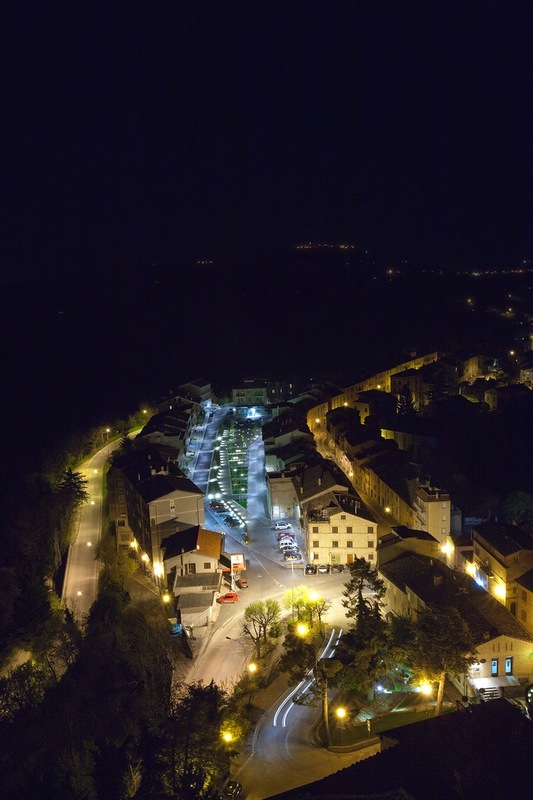 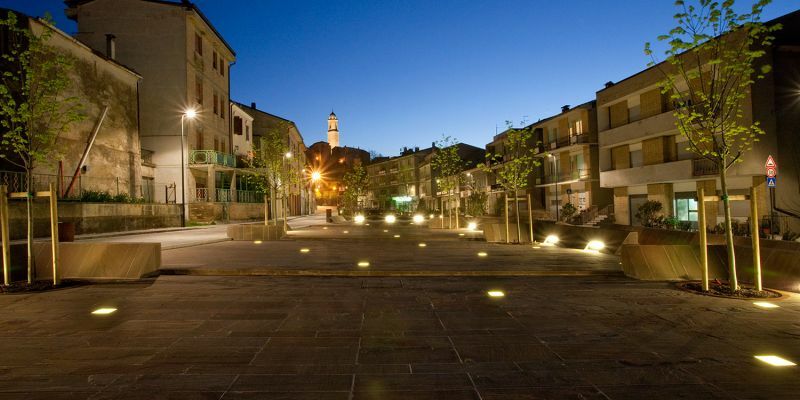 The particular shape and position of Piazza Tamanti make it a pivot in the urban structure of Petritoli, a municipality with Medieval origins, abounding in olive trees, mulberry trees and green hills, and a considerable element in the definition of the surrounding landscape. 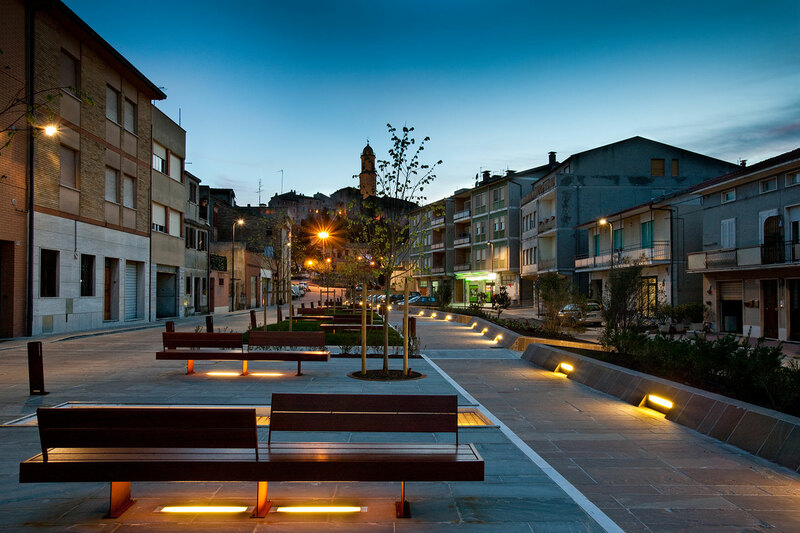 The project target was to create an open space characterized by unity in its global vision, but articulate and dynamic on the inside, divided into sub-spaces of different kinds, functions and uses. 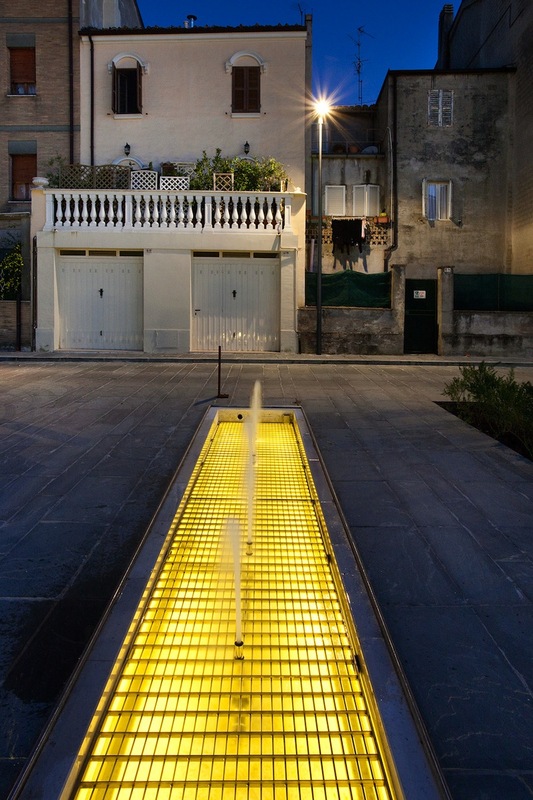 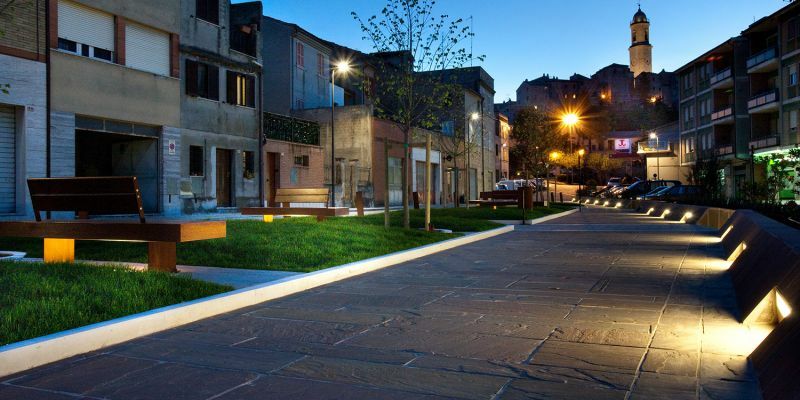 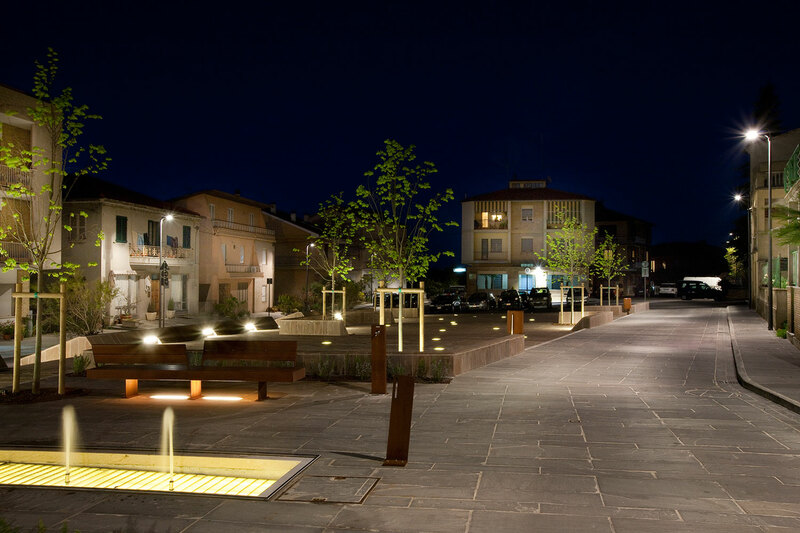 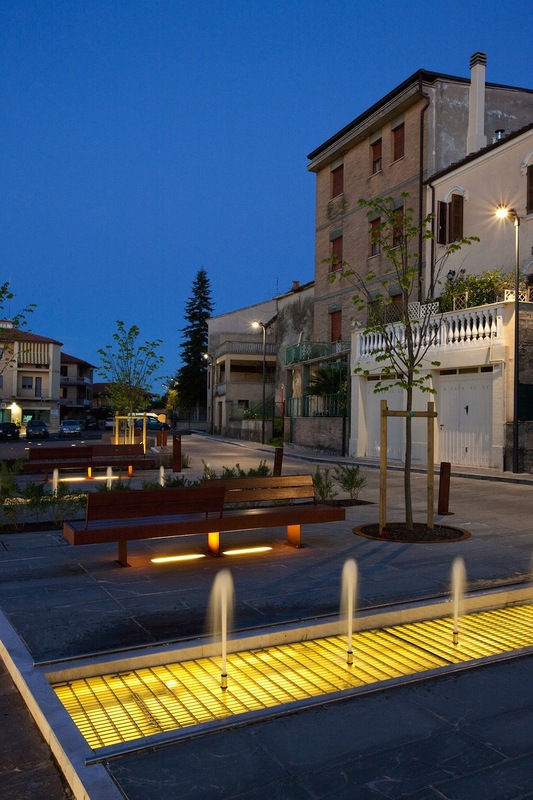 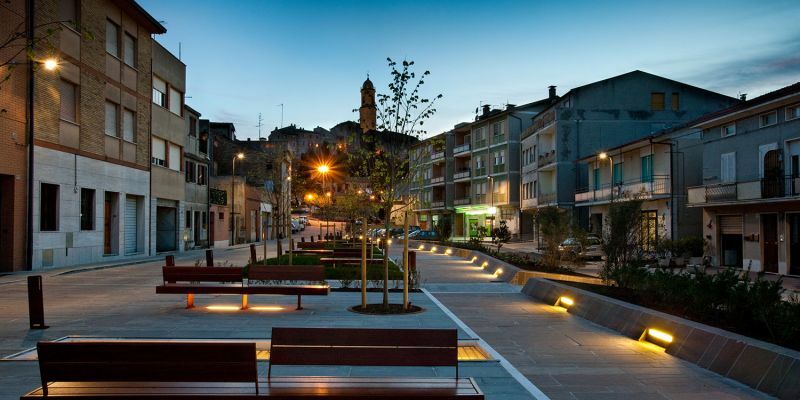 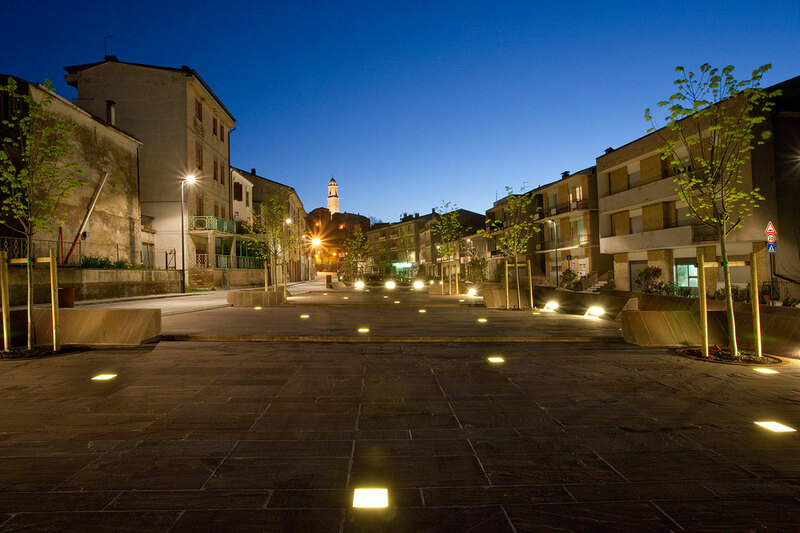 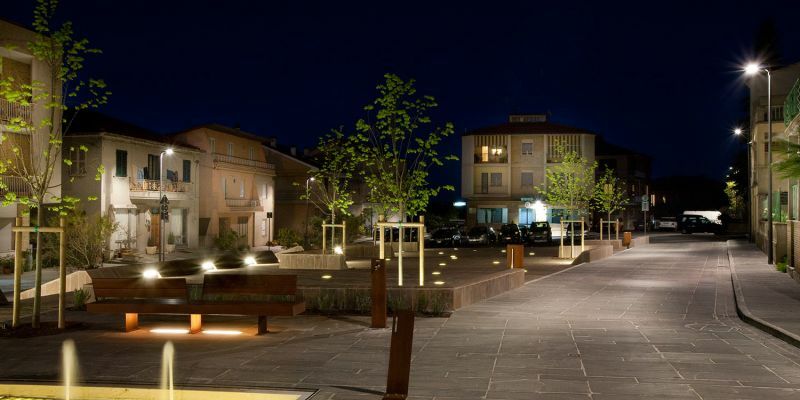 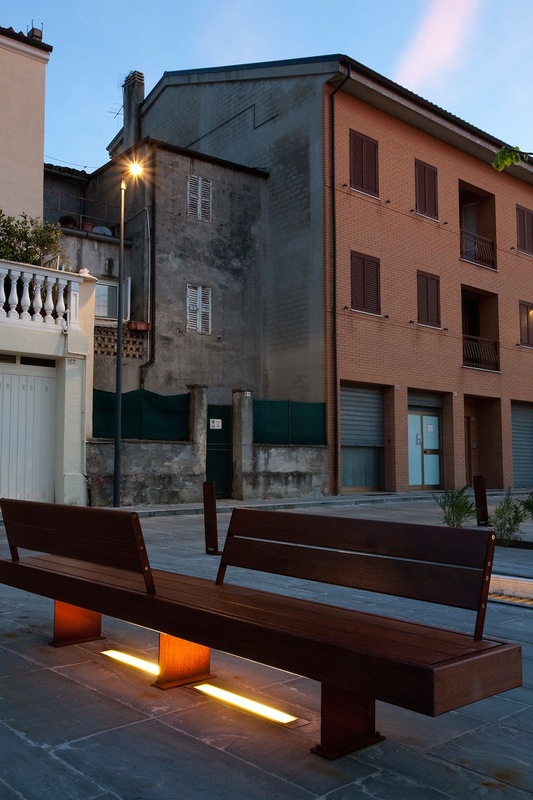 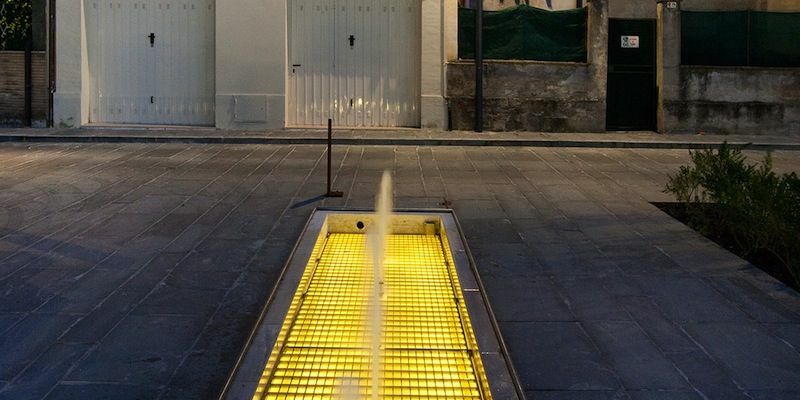 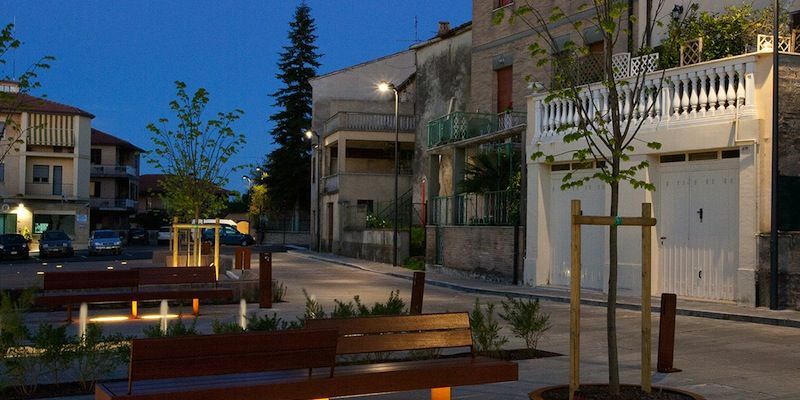 In the square, the aim was to create, even at night-time, a welcoming and convivial atmosphere that makes people feel sheltered and safe thanks to proper illuminance levels; through the use of high efficiency light sources, the system has a low energy consumption.